Are you ready to start the day with the perfect Halloween Breakfast? When I was a kid, I usually had to sneak to the kitchen to prep my breakfast, so I could eat it as I watched the weekend cartoons! I think this is the best memory and tradition I have from childhood. But now that adulting is a thing, I guess time for breakfast and cartoons in the morning is a rare activity! So what better activity for our Sunday Hallowiggles Party? Let’s watch spooky (funny&cute) cartoons as we eat Halloween Breakfast! I choose to share with you all a super yummy recipe: Pumkin Pancakes with Zombie Blood! It’s so easy! First the Pumpkin Pancakes. Start by mixing all the dry ingredients in one bowl and the wet ingredients in another. Heat a pan with a little oil (butter) and add some of the mix. The size is up to you, if you want smaller or bigger pancakes. 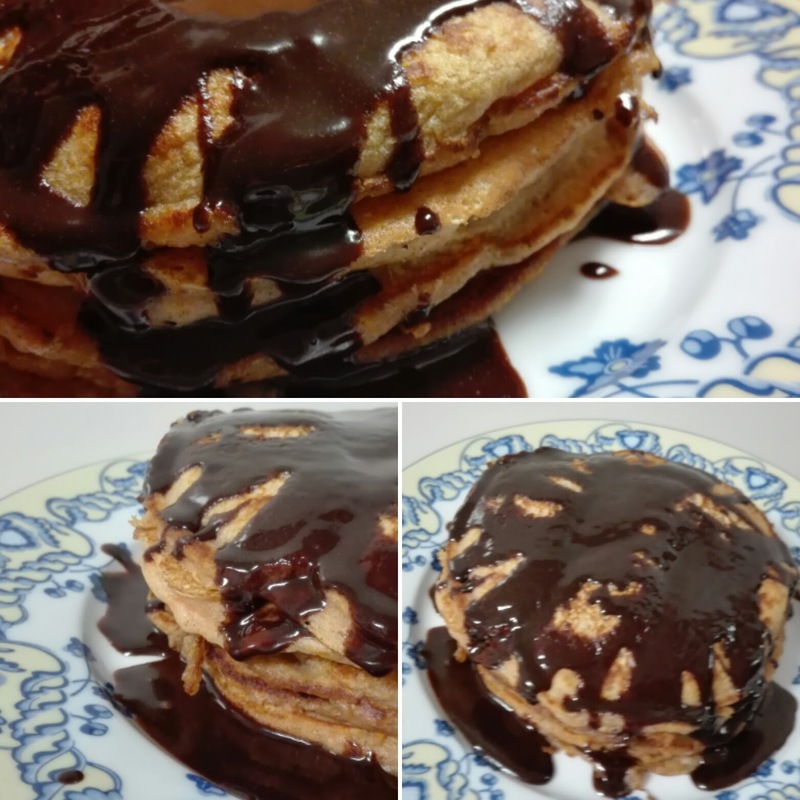 The pancakes will be ready to turn when you start seeing bubbles on the top. Although be careful and put the heat in a low medium. It’s better for them to take a little longer than to burn and not be cooked. 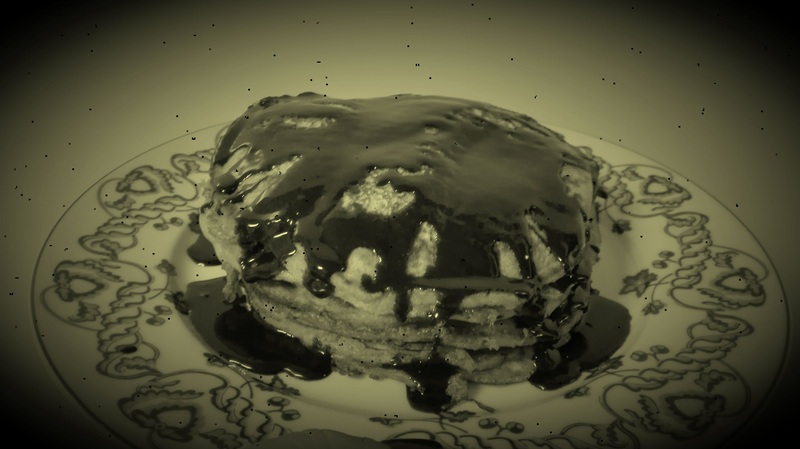 For the Zombie Blood, I’m using is a chocolate sauce that you drizzle over the pancakes! Just add all the ingredients in a little sauce pan. Put the stove on medium heat, stir for 5 minutes, and it’s ready for your pancakes. How many are you eating?